This week I have a perfect warm weather combination for Souper (Soup, Salad & Sammie) Sundays with a bit of a Spanish flair; a rich and creamy Chilled Avocado-Tomato Soup combined with a cool and crunchy Smoky Caesar Salad with Manchego and Pine Nuts. They are from two different cookbooks, both found in a used bookstore, but they pair together perfectly and along with some grilled bread with olive oil, salt and garlic, make a great light supper. The soup comes from The Vegetarian Feast by Martha Rose Shulman. Published in 1979, the cookbook has been updated since then, but I thought the older version would be fun to have. About the soup Shulman says: "This soup tastes like a cross between gazpacho and guacamole and is very rich; it also keeps well in the refrigerator for up to three days. It's been a cooking class favorite for years." Liquefy all the ingredients except the yogurt and garnishes in a blender or food processor until smooth. Stir in 1 cup of the yogurt, chill well. Serve topped with a dollop of yogurt, and sprinkled with sunflower seeds and alfalfa sprouts. Notes/Results: Very good! As the author says, it is a rich soup, thick from the avocados and the yogurt, (I used non-fat Greek yogurt), so a cup or small bowl is perfect. It is simple and the flavors meld together well. I am not a huge alfalfa sprout fan and happened to have sunflower sprouts from my CSA box so I used those as my garnish instead. This is a great soup for entertaining on a hot night or day. I have not met many cheeses that I don't like (unfortunately! ), but I have a special fondness for Spanish Manchego. I love the earthy, nutty flavor of this sheep milk cheese and when I saw it as the star ingredient in a Caesar salad in The Healthy Hedonist Holidays: A Year of Multicultural, Vegetarian-Friendly Holiday Feasts by Myra Kornfeld, I knew I had to try it. A well-made Caesar salad is another favorite of mine and I loved the uniqueness of this one. Kornfeld says: "Legend has it that the Caesar salad was invented in Tijuana, Mexico, in 1924 by an Italian-American immigrant named Caesar Cardini. This delicious variation includes lime juice, manchego cheese, pine nuts, and a touch of smoked paprika. The dressing blends up quickly and keeps for a good week, refrigerated." Place the garlic, anchovies, egg, paprika, lime juice, olive oil, salt, and a sprinkling of black pepper in a blender and blend until smooth. Stir in 1/4 cup of the cheese. Place the romaine in a large salad bowl. Toss the dressing with the romaine. Divide onto plates. Serve, sprinkled with the pine nuts and the extra cheese. Variations: To make the dressing without the egg, add an additional tablespoon of the oil. You can also make the dressing without the anchovies for a vegetarian version. Let's see who else is in the Souper (Soup, Salad & Sammie) Sunday kitchen this week. Starting us off in soups is Graizina from Erbe In Cucina (Cooking with Herbs) with a lovely Clams Soup with Chives to share. Graizina grows and knows a lot about herbs and says about chives they are "self-seeding and reborn every spring. It produces many leaves, it's easy to harvest and wash and its aroma is similar to onion, but more delicate." Here the chives are paired with clams, onions, potatoes, milk and bacon of course! Undecided on whether to have a hot, cold or room temperature soup? LK. at Healthy. Delicious. has you covered with her Vichyssoise, that she says is good no matter what temperature you serve it at. 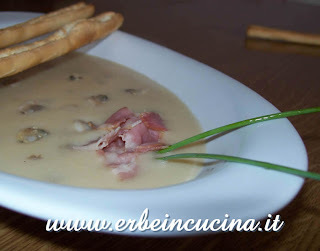 It is creamy and delicious with leeks, potatoes, milk, and cream. She served it with a Spinach & Artichoke Quiche, for a hearty meal. According to Natashya at Living in the Kitchen with Puppies, "any season is the right season for chicken noodle soup", a sentiment I totally agree with! 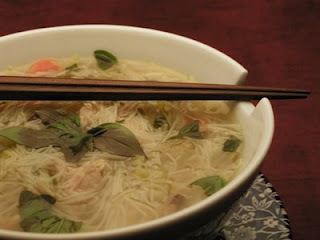 Especially when it is her Vietnamese Chicken and Cellophane Noodle Soup (Mien Ga). With shredded chicken, lots of veggies, rice noodles, cilantro and chilies and garnished with some Thai basil straight from the garden, it was the perfect comforting dinner for the still chilly nights she is having. Ulrike from Küchenlatein normally makes a sweet buttermilk soup but decided to try a slow cooker Herbed Barley and Buttermilk Soup for a change. 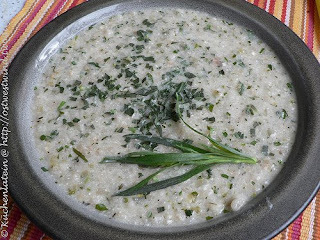 Using a mix of herbs, including lots of tarragon, which she says goes well with the buttermilk, combined with the hearty pearl barley, she ended up with a soup she calls "an absolutely delicious combination of flavours." 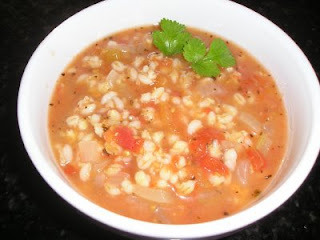 Also using that healthy grain barley, is Kristin from Sogkonnite Living, with her Roasted Tomato and Barley Soup. Finding the recipe in her newspaper, Kristin thought this soup described as "rustic" sounded delicious. After making it she wasn't sure where the rustic term came from and she wanted a bit more flavor from the roasting, but she is happy to be back at Souper Sundays, and we are happy to have her! I am going to welcome the delightful Mary from One Perfect Bite, hailing from Eugene, Oregon to Souper Sundays. (I think this is her first time and I am too lazy to go back and look for sure! So if it isn't your first time, then welcome back Mary!) 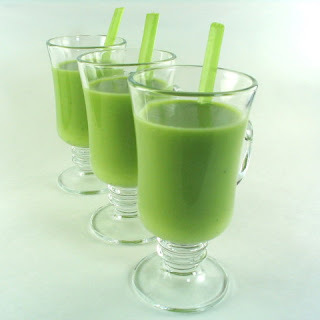 ;-) Mary has a gorgeous Green Gazpacho to share that she says when chilled icy cold, "is a marvelous starter for a family or guest meal during the dog days of summer." With a base of tomato water, plenty of green vegetables and herbs, and a hit of vodka this is summer living at its best! We have a delicious salad to share too! (I am happy my Caesar has a friend this week!) Heather at girlichef, has put my favorite super-grain quinoa to good use in a healthy and bright, Incan Red Quinoa Salad. Finding the heirloom red variety of this grain by Ancient Harvest, she added chicken (optional), tomatoes, cucumbers, goat cheese and other good stuff and a light vinaigrette dressing it is a perfect dish for vegetarians and non-vegetarians alike, and with a leaf of romaine, it makes a great wrap too! Another bunch of delicious recipes this week! Thanks to everyone who participated. If you have a soup, salad, sandwich or combination, that you would like to share, click on the Souper Sunday logo on the side bar for all the details. Deb, thank you for making this event possible. I loved your soup and salad combo. They were made for each other. yummy! the soup and salad sound delicious, and I love the round-up too, so much variety! Delicious round-up...as usual :) I'm really wanting some of your Caesar Salad right now...love the Manchego & Pine Nut addition (and a new tidbit of food history always excites me). great roundup this week! the vodka might actually make me willing to try the gazpacho- lol. Wow, that was one fine meal you posted - and the rest of roundup looked great too! Everything looks so good - and healthy too. Nice light fare - you can tell the season has changed! Yummy round-up, I love Caesar salad of any kind. The more garlic the better. Avocadoes were on sale this week and so I bought a ton. They are all ripening simultaneously, however, and so I need to use them FAST. I was thinking of a soup (in addition to guacamole of course). This recipe looks great and the round-up is awesome as usual. I have never had manchego but now I will have to seek it out. Avocado tomato soup sounds great! That's a really good idea for a summer soup. Fantastic selection as usual. 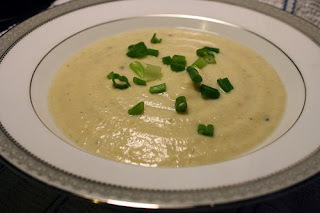 It is definitely time for me to get moving on some soups! Your soup sounds so delicious!! And I love the salad, Caesar is my favorite, and the manchego and pine nuts just put it over the top. Delicious round-up!! What a wonderful event with so many great recipes. I am going to try your Avocado Tomato Soup this weekend. So many avocados blooming here on the Big Island, this is perfect! I like your recipe for soups and caesar salads they were amazing. That feel really special I am going to involve your soup and salad for my next bbq parties, I have not down your link and in future if any problem came in making caesar salad then going to ask you. First of all thanks for adding this wonderful recipe in your article. Actually my friend is coming from china and I want to give him surprise by adjusting and making all arrangement as his home. So if possible can you gushy arrange some Chinese bbq recipes for vegetarian?